So while looking for something else to blog – I found this. 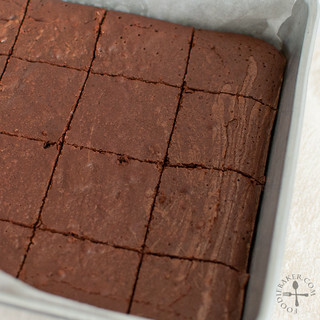 A brownie recipe that I’ve tried a year ago – yes you read it right – a year ago while trying to use up some egg whites after making my first Kueh Lapis. Do you happen to have a lot of egg whites on hand? I often have egg whites leftover from bakes so I will freeze them in small containers – and then they will be forgotten, until I do my once-in-a-blue-moon refrigerator cleaning and I’ll discover the long-forgotten egg whites… oops! You might ask… Why not make macarons? I don’t like making macarons using frozen egg whites because somehow I always fail – not sure if it’s because moisture got into the egg whites or what, but it just won’t be right. I’ve also tried making egg white angel cake – and that flopped too (I think I’ve already tried baking it like 3 or 4 times already). But not this recipe – it was the perfect solution to finish the stash of egg whites I have. If you are looking for a recipe to use up your egg whites, look no further! This recipe uses 4 egg whites and it’s so easy to make! I’ve experimented a little with the recipe using both whole eggs and egg whites and found that the brownies made with whole eggs are a bit richer than the ones made with egg whites. But other than that, I couldn’t taste any difference at all. The brownies are still silky, gooey, fudgy and uber chocolatey! It was a luscious treat that I can whip up without the use of a mixer so it’s a double hooray for me! 1) Melt butter and chocolate together. 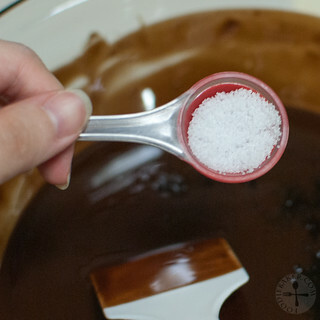 2) Add vanilla into the melted chocolate mixture. 3) Followed by coffee granules and liquor. 4) Some salt to bring out the chocolate flavours. 5) Measure sugar and cocoa together. 6) Add in egg whites and whisk. 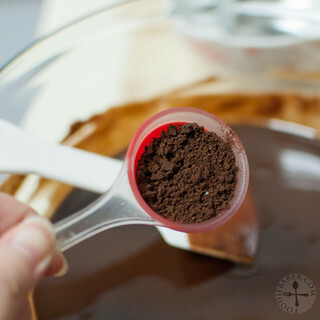 7) Whisk in the chocolate mixture. 8) Whisk in the flour. 9) Transfer to a baking tin and bake away! 10) Slice and serve! 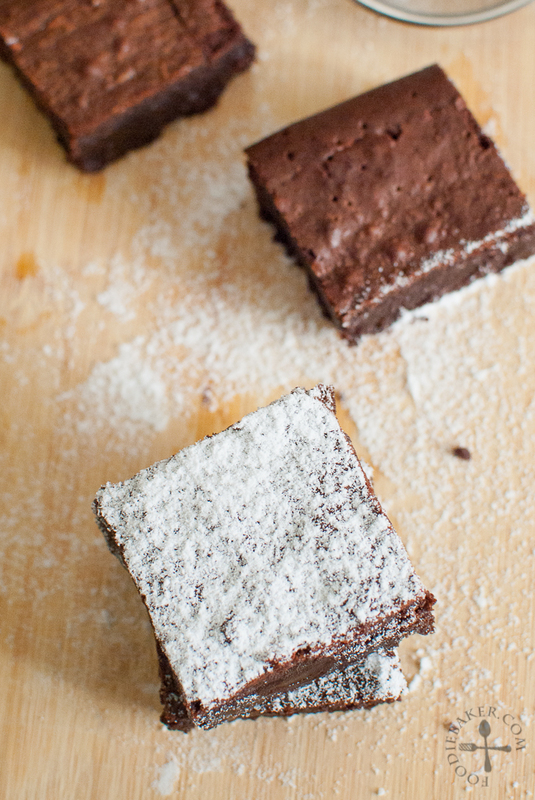 It’s so dangerous blogging at night, I’m so craving for a slice for this right now… I can’t wait to make my Kueh Lapis so I can make these brownies again! Now that I’m feeling better, I’m hoping to churn out a few more recipes before this month ends, stay tuned for more delicious recipes and have a great week ahead! Preheat oven to 190 degrees Celsius. 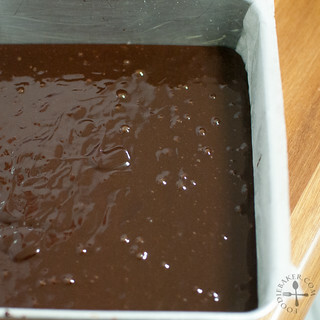 Butter the bottom and sides of an 8-inch tin with butter and line the with parchment paper until the sides extend out, so that it's easier to lift the brownies out. Set aside. 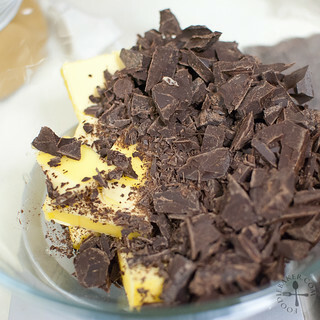 In a heatproof bowl, place the butter and chocolate together. 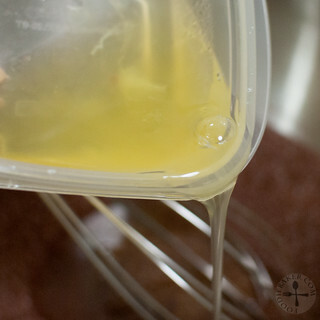 Place it over a pan of simmering water, ensuring the bottom of the bowl does not touch the surface of the water. Stir the mixture occasionally until all the butter and chocolate has melted. 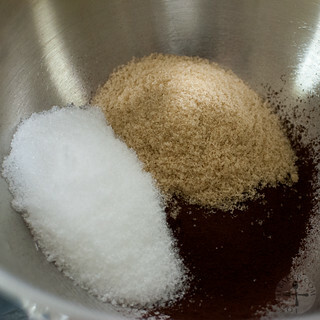 Remove from heat and stir in vanilla, coffee granules, Kahlua (if using) and salt. Set aside to cool for 15 minutes. While the chocolate mixture is cooling, whisk the caster sugar, brown sugar and cocoa powder in a mixing bowl. Add in the egg whites and whisk until incorporated. 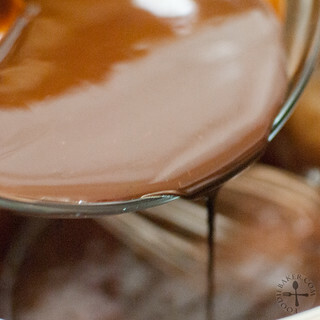 Whisk in the cooled chocolate mixture. 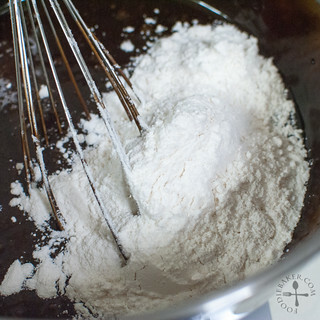 Sift the flour directly into the mixing bowl and whisk until incorporated. Set the baking tin on a wire rack and let the brownies cool completely in the tin. Lift the brownies out, slice and serve. 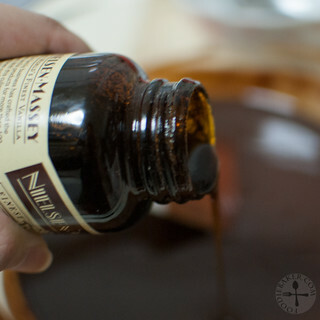 Super Naggy: Good-quality dark chocolate is a must! I used Varlhona chocolate and Varlhona cocoa powder. They are expensive to get but the taste is just so rich and so decadent and it makes every calorie in this brownie worth it. Since it’s going to be a sinful treat, let’s not waste any bit of it, right? 😉 The recipe states to use natural cocoa, but I used Varlhona which is Dutch-processed which turned out fine and still equally delicious. I didn’t have ice cream to go with it when I photographed it, but a huge scoop of vanilla ice cream on top of a warm piece of this luscious goodness – seriously, life can’t get any better than this! Hey Jasline, I hope you’ve fully recovered from the flu. I feel ya, girl! I was totally wiped out the past two weeks with the worst flu I’ve ever had. Couldn’t even crawl out of bed for about a week straight. Good thing you indulged your baking craving with these brownies. I can’t believe there are no egg yolks in here. 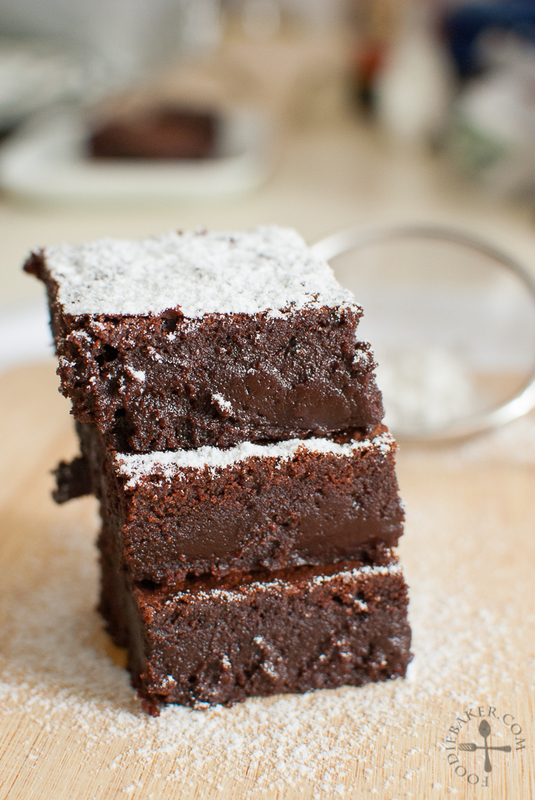 These brownies look amazingly rich, decadent and gooey (in other words, perfect!). I always have leftover egg whites so I’m saving this recipe. Welcome back, Jaseline hope by now you are fully recovered. What a gorgeous brownie recipe only with egg whites! I’ve got sick last month as well 😛 I really hate it when it happens especially during holidays where food is at most delicious lol Hope you’re feeling well . 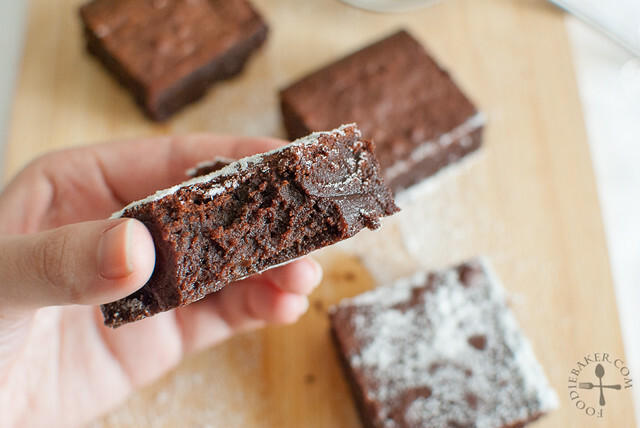 Oh yeah , the brownies look SINFUL and it makes me hungry by looking at it ! Love Love this!!! This looks too good! Jasline this sounds and look amazing!! Dear Jasline, I hope you are feeling much better. These browinies mut have been wonderful.